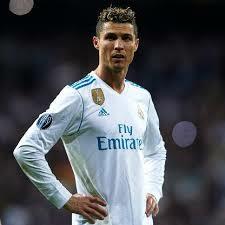 Cristiano Ronaldo dos Santos Aveiro (born 5 February 1985), known as Cristiano Ronaldo, is a Portuguese footballer who plays as a forward for Spanish club Real Madrid and captains the Portugal national team. Ronaldo became the world's most expensive player when he moved from Manchester United to Real Madrid in 2009 in a transfer worth £80 million (€94 million/$132 million). Ronaldo's contract with Real Madrid, under the terms of which he is paid €21 million per year (after taxes), makes him the highest-paid footballer in the world, and his buyout clause is valued at €1 billion. He is regarded by some in the sport to be currently the best player in the world, and one of the greatest of all time. In 2008 and 2013, he won the FIFA/Ballon d Or award for the best footballer in the world. In 2018, he signed for Juventus in a transfer worth €100 million, the highest fee ever paid for a player over 30 years old, and the highest ever paid by an Italian club. Ronaldo has previously dated English models Alice Goodwin and Gemma Atkinson, and since the start of 2010, he has been dating Russian model Irina Shayk.